The amount of data from a variety of different sources is exponentially growing (i.e. through digital business models, cloud computing, location data or the rising Internet of Things). Using this data in a tangible way that adds value to your business is crucial. In our fast-pacing digital economy there is an increasing demand for true relevancy, convenience and personalization. Competition in digital channels is fierce and there is an increasing need for retailers, media companies and specialized niche players to differentiate themselves from the big players. Do you know how to tackle the challenges of our ever-changing, data-driven economy? Using digital tools to put a smile on the face of any possible business user (from team leaders over product managers to analysts) should be the goal of any business. If you, like most businesses today, are trying to tackle these challenges through Business Intelligence (BI) techniques like tracking, visualization and dashboards of tracking solution providers, you probably struggle to make your (big) data actionable. Furthermore, providing truly relevant (in-house) services and insights to maximize your businesses’ conversion rates and revenues becomes very difficult, expensive and time-consuming. Especially if you don’t have a big and specialized BI team consisting of experienced analysts and data scientists. Traditional BI enables you to analyse your shops’ historical data and draw conclusions about future customer behaviour. Based on the historical data you can also model the data in order to apply it to new users and scenarios through Machine Learning. 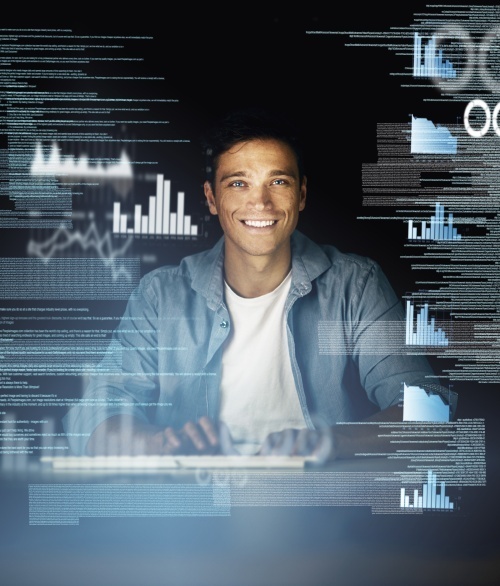 But for maximizing the value add of your big data, Business Intelligence still lacks the necessary execution speed and self-learning capabilities. This is where Operational Intelligence (OI) is ahead of BI. It is often seen as and called the next generation of BI. Increasing the speed of your analysis with Operational Intelligence can give you a tangible competitive advantage. We are going to point out four specific reasons for Operational Intelligence and why you need to implement an OI solution into your e-business’ tech stack. Operational Intelligence works with a combination of in-memory computing and data-parallel analyses. It therefore allows the continuous storing, updating and analysis of live, fast-changing data sets. They may be enriched with historical data from all possible sources (i.e. analytical raw data, product data, CRM, ERP, returns, engagement rates or weather data) in real-time. This enables the OI system to refine results and supply you with powerful insights in real-time. Knowledge may be extracted from the data easily with a few clicks and without any overhead in time. Time-consuming manual insight extraction from standardized dashboards will be a thing of the past. OI enables you to do flexible, fast and enjoyable data correlation analyses or chi-squared tests. 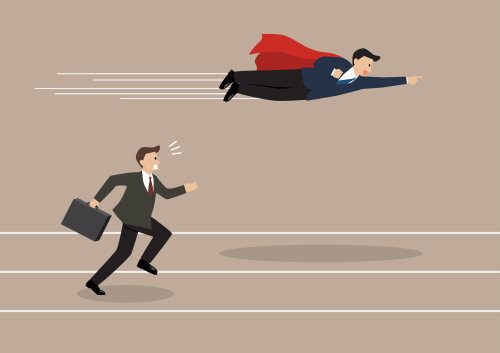 In our fast-pacing times there is only one pace that can add real value: real-time. Everyone in your business – no matter, if data scientist or not – will be able to actually work with your data, which will eventually refine and improve your understanding of your customers’ feelings, needs and contexts. They will be able to generate much more insights in a fraction of the time without manual analysis. Businesses should be able to do analysis in real-time without simplistic models for absolutely precise and accurate results. These results can also be put into action automatically by various tools for a truly individual customer-centric approach. As Operational Intelligence is real-time capable, it is the perfect solution for your e-business to provide truly relevant, personalized services to any of your users and visitors – even anonymous ones. Instead of leaving the persona-building to the business users’ intuition or simplifying, summarizing and limiting the data through offline modelling like BI does, Operational Intelligence clusters the data for any visitor and site element individually in the moment of the page request. Operational Intelligence is able to provide personalized and value-added services to your customers and in-house teams. This real-time clustering allows for truly accurate results that empower you to deliver tailor-made contents and targeted services for each individual user. These ideas are the basis for the innovative concept of situation-aware personalization (situationalization) by ODOSCOPE. With situationalization you are able to display relevant content, products or services to every individual user according to his current situation in real-time. A user has a different consumption pattern when accessing your e-business with his smartphone on a Monday morning on his way to work than on a Sunday evening on the couch with his laptop. 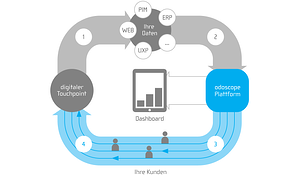 With the ODOSCOPE situationalization platform you can address users with individually relevant content on every digital touchpoint. Our innovative basic technology is self-learning, automated and easy to integrate in your system. You want to learn more about situationalization by ODOSCOPE and how to increase your revenue by 20% and more? The combination of various analyses methods enables OI-systems not only to understand what is happening (descriptive analytics) or to make predictions on the future (predictive analytics). It can also define the required actions for a specified outcome based on your own business logic and implement it automatically (prescriptive analytics). Using Gartner's Analytics maturity model, four levels of advanced analytics can be differentiated and categorized. The most sophisticated are Prescriptive Analytics. Which content emotionalize this visitor most? • Which contents (i.e. products, articles, offers) can I display to make him stay? • Which products in stock are most likely to be bought and least likely to be returned by the actual user? • How can I boost the sales of my own products that have higher margins? • Which products are bought together or at what time/in which season are they most likely to be bought? Based on your historical data, you can calculate the answers to these questions for specific cities, regions and countries. As a result, Operational Intelligence tools not only show you which content is most relevant for the current user in his buying situation, but also display them automatically and in real-time. Thus, you may provide an individual shop for any user that is perfectly tailored to him/her. The Operational Intelligence system is self-learning, which means that it may track your users‘ reactions on the delivered contents and products to include them in further analyses. Using A/B or Multivariate testing, you can rely on statistically significant results in this constant optimization process. On their basis the Operational Intelligence tool makes decisions without bias to best meet the goals that have been defined by the business user before. These closed feedback loops allow for a continuous process improvement. The system gets to know the users in all their uniqueness even better, learns how to personally advise them and anticipates their specific needs over time – possibly even before they themselves clearly identified them. This way you delight your customers with true convenience and an ever-improving customer experience. Our closed-loop solution is self-learning and optimizes digital touchpoints according to your individual business logic. 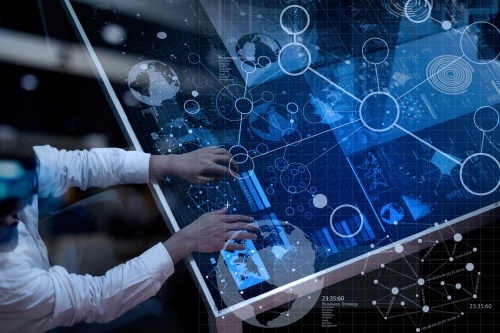 Operational Intelligence is a lot more effective and accurate than other analysis methods like BI or Machine Learning, because it uses a completely new approach. The technology is not meant to replicate the human mind and thinking structures because those are not only biased, but also forced to simplistic modelling due to limited capacity. You therefore should not rely on these slower e-business technologies that come up against similar limits as humans, because they have copied their thinking or have been literally trained by humans. OI simply outpaces these with its cutting-edge, correlation-based real-time analyses of an unlimited amount of data, which detect statistical siblings and transform the raw data into truly actionable knowledge. Today, only Operational Intelligence solutions allow you to capture reality, situations and humans in all their variety – and even to react adequately to them with tailor-made responses. Operational Intelligence outperforms Business Intelligence in many aspects. 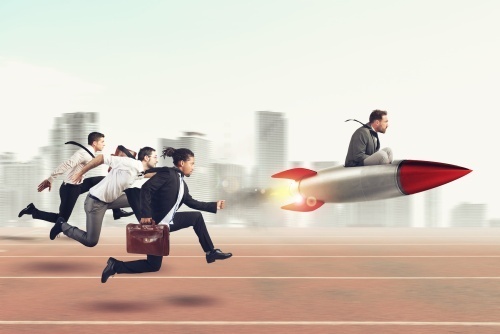 Jump on the OI rocket and add incredible value to your business processes. Because Operational Intelligence is able to automatically analyse and use big data from different sources, it is the answer to BI’s numerous problems. But as William L. Bain states, the benefits of OI are only beginning to be realized. Our understanding of OI has deepened over time and is now even more adapted on today’s new challenges that we mentioned before. One thing is very clear though: OI literally outperforms BI. Why? Because BI on the basis of Machine Learning usually calculates over night to cope with the huge sets of millions of data points. OI calculates and applies the learnings within milliseconds. This is a very concrete, measurable competitive advantage that you should use for the good of your company. Think of it this way: Would you rather compete in a race with a sports car (BI) or a Falcon 9 rocket (OI)? The Operational Intelligence Platform odoscope automatically optimizes the Customer Experience based on your data. We support you in providing the best Shopping Experience to your users – wether known or unknown. Keep up to date with the latest trends and developments in the world of Smart Data.